Luck and time are running out quickly for Alexis Sanchez. It’s been more than a year since his dramatic arrival at Old Trafford. Manchester United fans still await his best. Injuries and inconsistency plague his tenure. A few months ago, Jaime Carragher compared Alexis to Fernando Torres at Chelsea. There's something in it. Like Torres, Sanchez had a horrid half-season after arriving in January. More concerning is his inability to come through in his first full season. Nando scored eight Premier League goals for the Blues in his first full season. Alexis has one in 2018/19. While he doesn’t operate as an out and out striker, goals are his stock in trade. One simply isn't enough. His struggles visually recall the Spaniard's too. Sanchez’s open-goal miss against Newcastle United last season mimicked Torres' infamous sitter in front of the Stretford End. While Ole Gunnar Solskjaer’s praises Sanchez's enthusiastic training, the failure to translate it into matchday production tries his patience. If anything, Sanchez tries too hard. If he can start making the simple plays rather than trying to pull off the impossible, the floodgates may open. It was understandable for him to struggle under Jose Mourinho’s rigid system after moving from free-flowing Arsenal. Continuing to misfire despite Solskjaer's support is another matter. It’s not like Alexis has been completely inefficient during his Old Trafford tenure. He scored in the FA Cup semi-finals last season, netted recently at the Emirates to knock out Arsenal and scored a decisive winner to complete a thrilling comeback against Newcastle United earlier this season. He plays with urgency during games, averaging 2.26 key passes per and creating six big chances this season. Despite all his creativity and hard work, the end result goes missing. Under the Norwegian, Sanchez gained a new lifeline to operate with freedom and turn things around. He's yet to justify that trust. Beyond Solskjaer, fans lose more confidence in him with each poor performance. At 30, he can't afford to bide his time. Well behind his best, he needs to adjust his game to rediscover his lethal touch. Whether he curbs his creative side or starts making more runs behind defenders rather than coming back for the ball, something different is required before his collapse becomes as complete as Torres'. Anthony Martial recently signed a long-term contract. The Frenchman is among Ole Gunnar's favourites, easily outpacing Sanchez in the competition for a starting role. 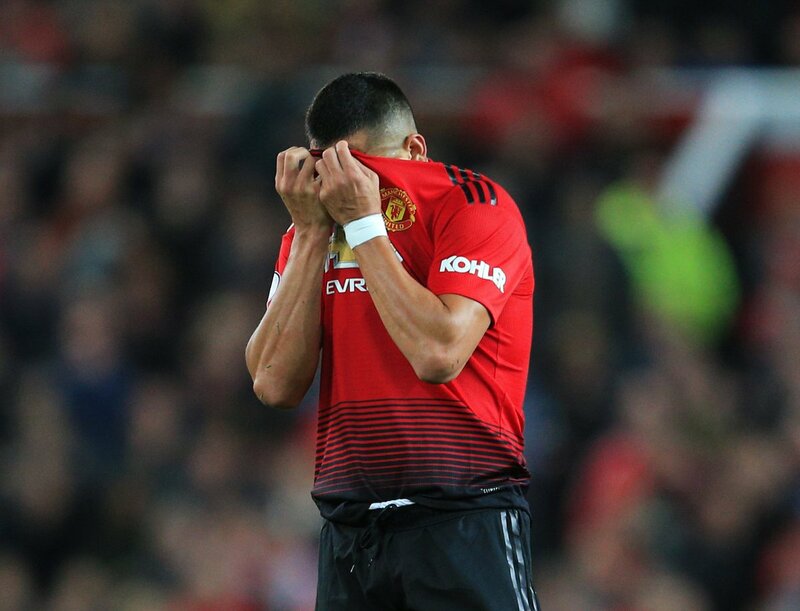 Sanchez's Old Trafford career is on the brink. The more he underperforms, the more pressure mounts. His exorbitant wages pile more weight on his shoulders. Without results, the club won't see any reason to keep him on the books. Failing the #7 shirt while not earning his kingly wages, he can't expect to keep his crown. Even though both he and Torres moved between fierce rivals, Sanchez's switch was less controversial. No one burned his jersey when he left the Emirates. That much, at least, affords Alexis a little more time. Even so, his reputation as a world-class player is rapidly fading. Time is running out to rescue it.